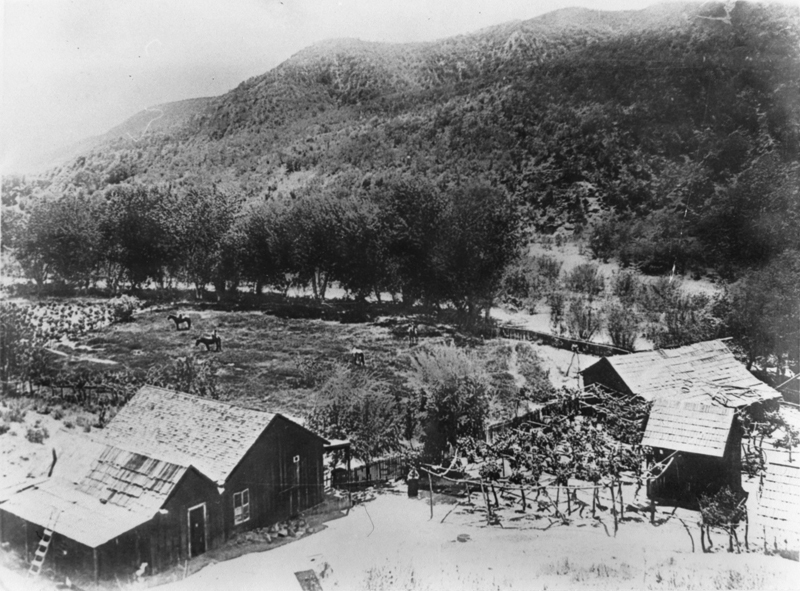 SCVHistory.com RJ1000 | San Francisquito Canyon | Preparing Vittles at Raggio Ranch, ~1940s. 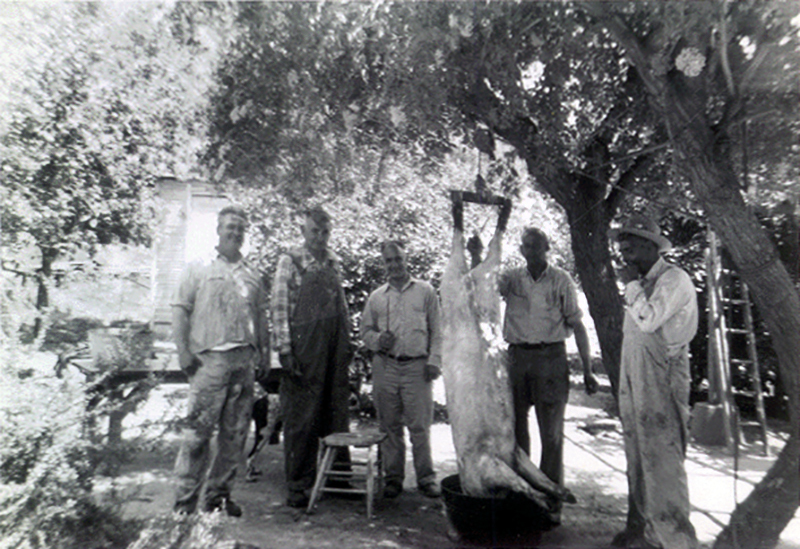 From left: Lawrence L. Devine, Lucien Brutinel, George Sabajian, Maurice Brutinel and Joseph Reyes Raggio skin some vittles at the Raggio Ranch in San Francisquito Canyon, probably in the 1940s. RJ1000: 9600 dpi jpeg from smaller jpeg. Online only.